Stanley Ketchel, "El asesino de Michigan". The hazardous, tempestuous and tragic life of Stanley Ketchel, ended with his assassination from a gunshot at 23 years of age. It is one of the most passionate and fascinating one can conceive of in the world of sports and anywhere else. Up to a point that it could very well serve as a model for a non-fiction genre novel. It even inspired the great American writer and Nobel prize laureate in Literature in 1954, Ernest Hemingway, as the main character in one of his stories. 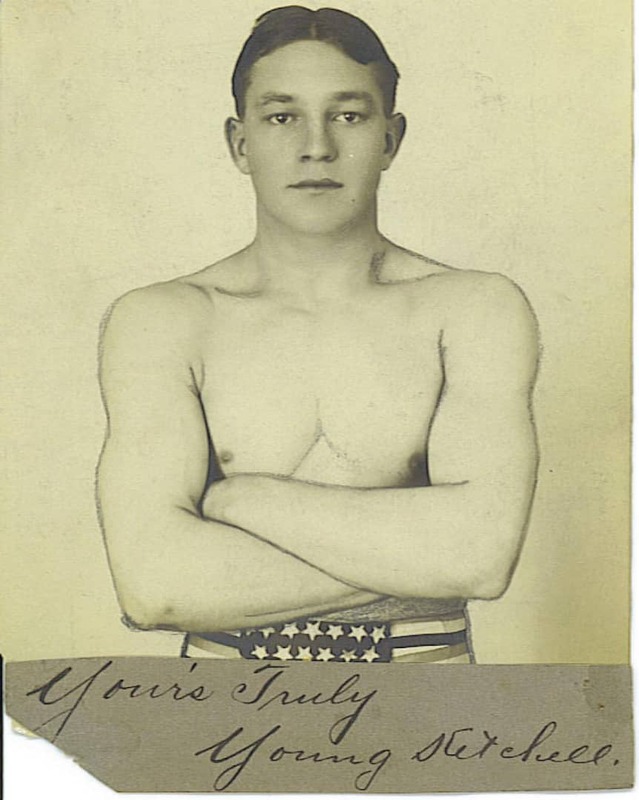 We assume that today´s fans know very little or nothing about who Stanley Ketchel was, that at 21 or 22 years, despite all the imprecisions and unconfirmed rumors about his life and sports trajectory, he became the youngest gladiator in history to ever become a middle weight world champion. In 1990 he entered the Boxing Hall of Fame in Canastota, New York, as part of the “Old-Timer” lot along with a Jack Johnson, James J. Jeffries, Sam Langford, Jack Dempsey, Eligio Sardiñas (Kid Chocolate), Gene Tunney, Panamá Al Brown, Bob Fitzsimmons and his archenemy Billy Papke, among others. Years before, in 1954, the reporter and encyclopaedist Nathaniel (Nat) Fleischer elevated him to the Hall of Fame created by him, which later disappeared or was replaced by the one in Canastota. Stanley Ketchel, “The Michigan Assassin”. Ketchel (Grand Rapids, Michigan, 14/09/1886- Springfield, Missouri, 15/10/1910) was considered during the first five decades of the 20th century as the greatest Middle Weight of all time. He was also classified as one of the 5 most prestigious fighters and he is still considered today one of the best 20 in any division in the annals of the discipline. The son of Polish immigrants who arrived in the United States by the end of the 19th century, his real name was Stanislaw Keical. Native of the city that later saw Floyd Mayweather come to life, he turned to boxing because of the hardships endured in his childhood (allegedly caused by the murder of his parents, a version never proved and apparently told by the fighter himself). He was around 12 years of age when he left his paternal home. What is in fact proved is that he was involved in minor offenses and in hundreds of street fights. He moved from one place to another, with Montana as his first stop and as a stowaway in trains until he was 16-17 years old. He performed professionally between 1903 or 1904 and 1910. He made his debut against Kid Tracy on May 2 of ´03 or ´04, (there is no consensus among historians about his debut date) he demolished his rival in the first round. After a defeat against Maurice Thompson in six rounds, he added 34 KO´s, 3 draws and one more defeat, again against Thompson. He, Kid Lee and Billy Papke would be the only middleweights who could beat him. (He knocked out the third one on November 26, 1908 at a rematch in 12 rounds, in what became a historic rivalry. He beat him in 3 out of 4 encounters, one of them via KO). The aggressiveness he displayed in the ring, his relentless offensive and his lack of mercy for his opponents made him gain the nickname of The Michigan Assassin. Some say that his fury in the ring came from the accumulated hatred he felt for the humiliations suffered by his mother. He saw his rival as guilty participants in those offenses, It was also speculated that his homicidal rage was caused by the not credible “assassination” of his mother, Julia Keical. 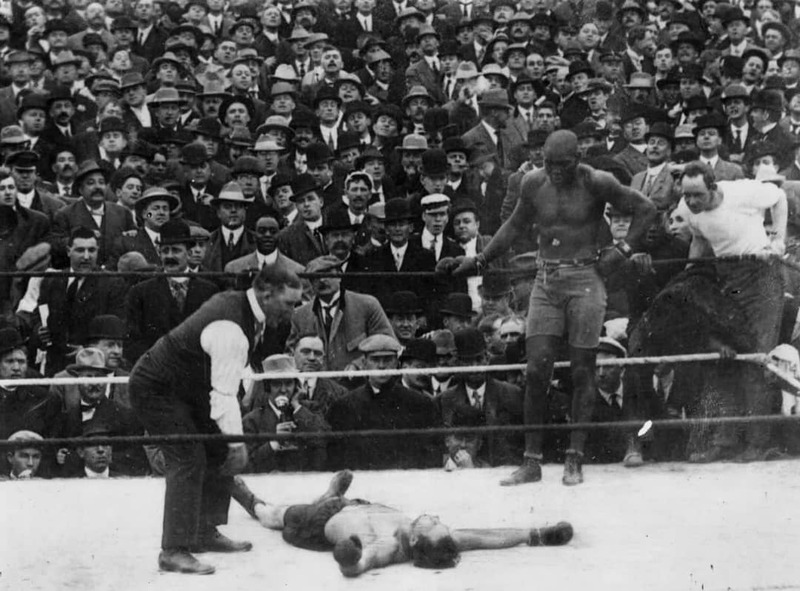 Stanley Ketchel defeated by the legendary Jack Johnson. Nobody has escalated earlier than Ketchel to the throne of those who weigh more than 69,853 kg (154 lbs) and less than 72,562 kg (160 lbs). he did it in 1907, that is, at 21 and some months or in 1908. Some reporters say it was in September 2, 1907 when, after a draw, two months prior, he knocked out Joe Thomas on the 17th round of a 32 round fight. Others say he was recognized as the best middleweight of the world in February 2, 1908, a date in which he disposed of Mike “Twin” Sullivan in one round. 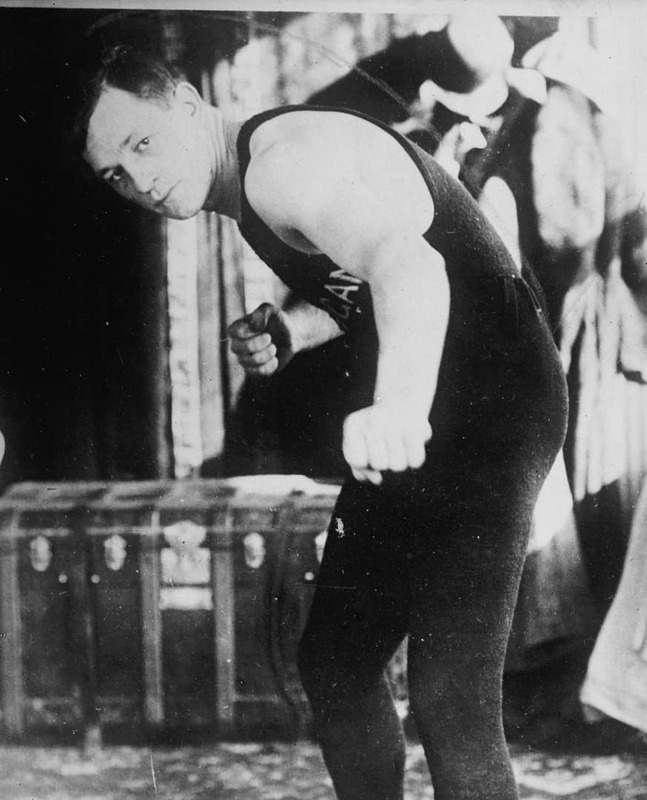 In his first defense he beat the twin of that Jack “Twin” Sullivan in 20 rounds, on September 7 of that same year in an epic battle, to later lose the crown in September of 1908 against Papke, his first defeat in 4 years. In search for more money and glory, Ketchel dared challenge the world heavyweight champion Jack Johnson (his drinking and partying buddy), the first black fighter to be recognized as the king of the heavyweights. He confronted him in September 15, 1909 in Colma, California, a challenge to which Ketchel attended weighing 180 lbs. (81kgs), while the champion topped the scale at 30 lbs more, about 15 kgs. Some historians say that JJ climbed the ring with 22 kilos above his rival. Ketchel surprised everybody when he knocked down the “Galveston Giant” with a right puch to his chin on the 12th round. It was the swan song: Johnson got up more enraged than stunned and crushed the daring challenger with a right and a left to the head and mouth. 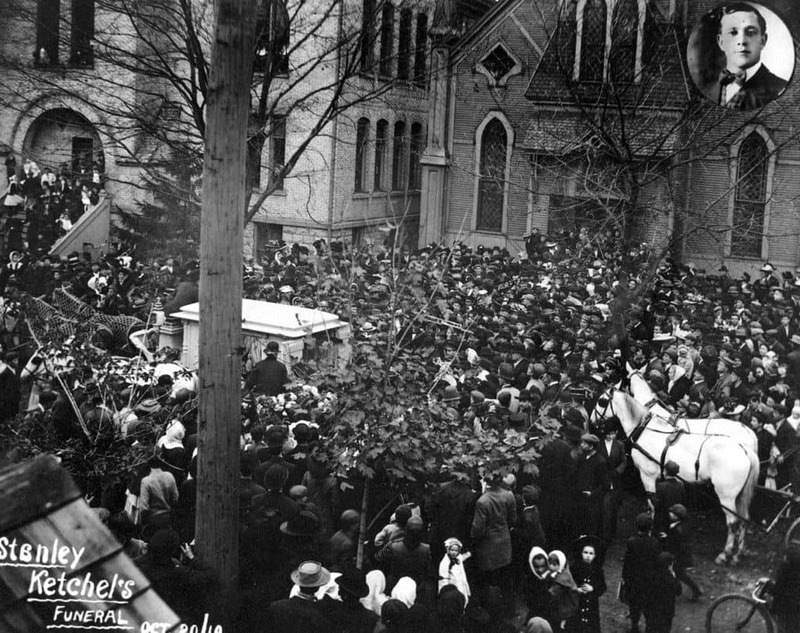 It is said that two of four of Ketchel´s teeth were encrusted in the winner´s gloves. His last battle on the ring was fought in New York against Jim Smith in June 10, 1910 where he won by KO in 5 rounds. His final unofficial record was 46 KO´s, 3 wins by points, 4 draws, 2 defeats by decision, 3 by KO´s and 4 without decision, according to the Nat Fleischer book. Other publications give him 52 victories (49 by KO), 4 draws and 4 defeats. (in reality there were half a dozen: Thompson (2), Kid Lee, Billy Papke, Jack Johnson and Sam Langford). This without adding 250 bar and street fights when he was a teen and acted as a “gorilla” (bar guardians who rudely quieted down unruly clients) and fights against adversaries who doubled him in age. Besides Johnson, he also exchanged punches in March 1910 with another legendary heavyweight, Sam Langford, whom white mastodons avoided for racial reasons and who ranks among the best heavyweights of any era. Langford defeated Ketchel by a decision then called “newspaper decision”. Worn down by his excesses with alcohol, an alleged abuse of opium and constant partying, the famous fighter traveled in search of his rehabilitation to the Conway Ranch in Missouri, owned by a family friend, Col. HP Dickerson. There, in October 15, 1910, in a confusing argument which involved jealousy, theft and a quarrel, Walter Dipley, the partner of a kitchen lady named Goldie Smith, cowardly ended Stanley Ketchel life, which was forever extinguished with a shot from 22 caliber shotgun that penetrated through his back and tore his right lung. He died hours later at the hospital in Springfield, Missouri.